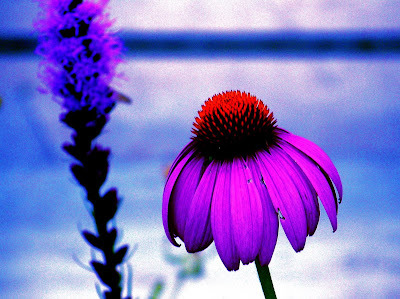 Today I am sharing some photos of flowers that I altered in editing. I hope you enjoy. Cool!! I like all the effects. I need to learn how to do that. Are you playing with the saturation? What program do you use? You need to get a hummingbird feeder so you can get photos of them and alter those shots. With all the iridescent colors in their feathers, it would be gorgeous! Thanks Kelly. I want Photoshop or Aperture but right now I just have iPhoto which has limited editing. For these I upped the saturation, adjusted the contrast and then adjusted the tones/warmth of the colors. 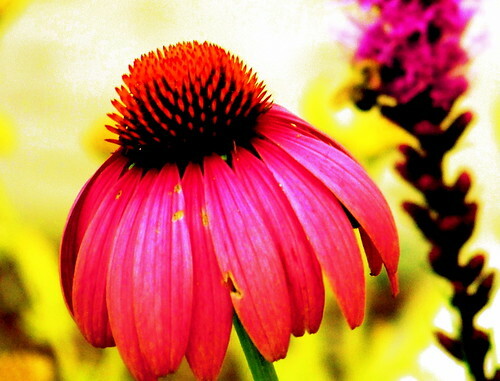 So the two photos with the coneflower are of the same flower. One was warmed up and the other cooled down. I do need a humminbird feeder - the challenge would be to get a good picture though. I still can't get decent photos of any of the birds at my feeder aside from the little brown sparrows - only cause they aren't shy at all. The others move to much and my yard has so much shade the light is not good for high shutter speeds. Any recs? p.s. Thanks for the photo info!! Thanks Kelly, I will look at feeders and I was thinking of redoing some of the garden or adding stuff in back. Not much space but more sun I think. 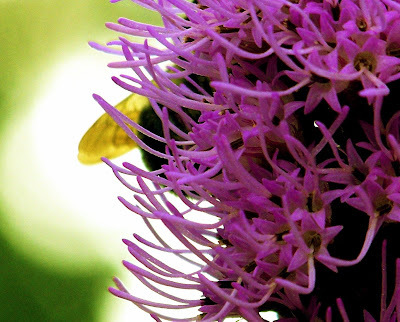 We have pretty flowers but don't attract much in the way of insects (bees and butterfly) or birds outside of the feeder.